Everyone needs a good pair of headphones. They allow you to go into your own little world, listen to music, watch movies and use your device without disturbing anyone else. Whether they’re for a music obsessed teenager, a parent or a partner, you can’t go far wrong gifting a nice pair of headphones. There’s a lot to consider these days when buying a pair- should they be wireless, in ear, over ear, Bluetooth? If you’re not sure, a review site like http://www.ithingum.com/bluetooth-headphones/ can help you to narrow it down. New year’s resolutions are right around the corner. If you have a fitness fanatic in your life or someone who’s just looking to get a little healthier in 2017, then this could be the way to go. Many syncs right up to your smartphone, giving you helpful graphs and charts on things like your activity level, a number of steps taken and number of hours slept. Having this kind of information is useful as it allows people to know where they need to make a change and makes it easier to set realistic goals. If your budget is a little bigger, you could treat your recipient to a smartwatch instead. Find out if they use apple or android before deciding which one to purchase, so you know the one you buy is able to hook up to their phone. The Amazon Echo is a gadget that lots of people have on their wishlist this year. It’s essentially a ‘smart speaker’ its voice commanded, and you can use it to search the internet, play music and loads more. You can even hook it up to other smart devices in your home and turn them on and off. Other companies are putting out their versions of this too, while there are some that are still in the pre-order phases there are others you can buy in time for Christmas. Reviews from a site like http://beebom.com/amazon-echo-alternatives/ can be helpful and give you ideas about what to look for. 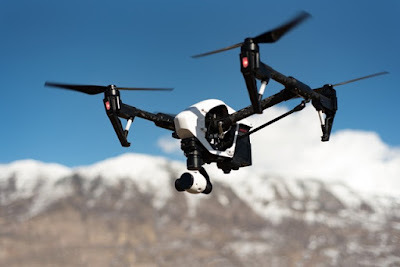 The drone craze is still going strong, and is a great gift idea for someone who used to like things like remote controlled cars and planes in their youth! You can find them relatively cheaply, and they go all the way up to much more expensive models, so you won’t be short on choice. Will you be buying any gadget Christmas gifts this year? Yes definitely... thanks for these wonderful ideas. Nice.I really enjoyed this post.